Acer griseum, commonly known as the paperbark maple, is a sought after small ornamental, deciduous tree. 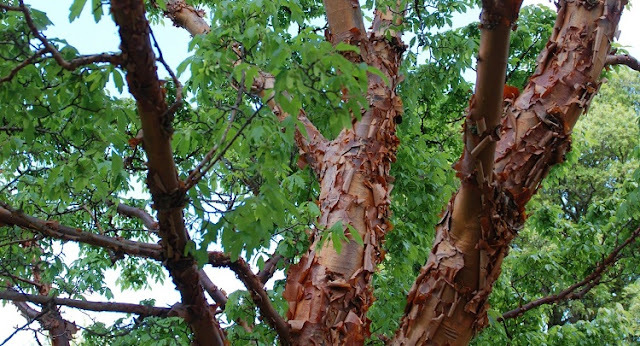 Native to the Chinese provinces of Gansu, Henan, Hubei, Hunan, Shaanxi, Shanxi and Sichuan, it is valued for its spectacular autumn foliage and smooth, shiny orange-red, which characteristically peels away in thin, papery layers. 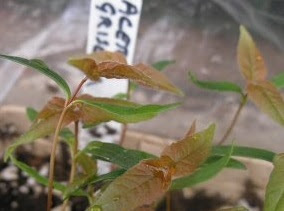 Unlike Japanese which are readily propagated by grafting, Acer griseum is usually propagated from seed due to a lack of suitable and available rootstocks. Unfortunately the majority of Acer griseum seeds are sterile or hollow, giving is a germination rate usually of less than 10%! 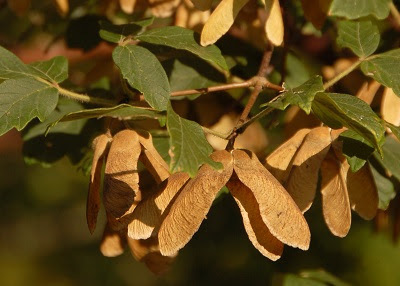 However, if you do want to propagate Acer griseum seeds production is still the best way forward. Collect mature seeds in the autumn and sow them in stations of 3 on (not in) in a well-drained seed bed. Cover with a thin layer of horticultural grade lime-free grit and wait for 2-3 years. Alternatively (and for quicker germination) collect seed in early September, and then cold stratify the seed for 90 days. Best practice is to place them in a polythene bag filled with damp moss and place in the salad box of the fridge. Pierce the bag a number of times to allow airflow. After the 90 days, carefully split the seed coats and extracted the embryos without damaging them. Plant the seed in a medium of vermiculite only. Once the seedlings emerge provide excellent ventilation as damping off is an issue with Acer griseum seedlings. If ventilation is an issue then improve airflow using low energy fans. When large enough to handle carefully remove the seedlings, disturbing the roots as little as possible, and pot on into 1 litre pots containing a good quality soil-based compost such as John Innes 'Seed and Cutting'. Move the potted seedlings to a sunny, protected but unheated environment under 50% shade cloth. Allow to grow on for the next few years potting on as necessary in John Innes 'No 2' then 'No 3' before planting out into their final position. CAN ZEBRAS BREED WITH HORSES? HOW AND WHEN DO YOU CUT AN ARBUTUS HEDGE?